Triumph Motorcycles holds only a 1% share of the motorcycle market; that's quite a few less Triumph's on the road compared to Harley-Davidson's 35% share. This campaign is aimed at first-time motorcycle buyers, who are not affiliated with the lifestyle associated with motorcycle ownership - the social scene, the apparel or the riders' general appearance. Harley-Davidson's motto is "American by birth - rebel by choice." 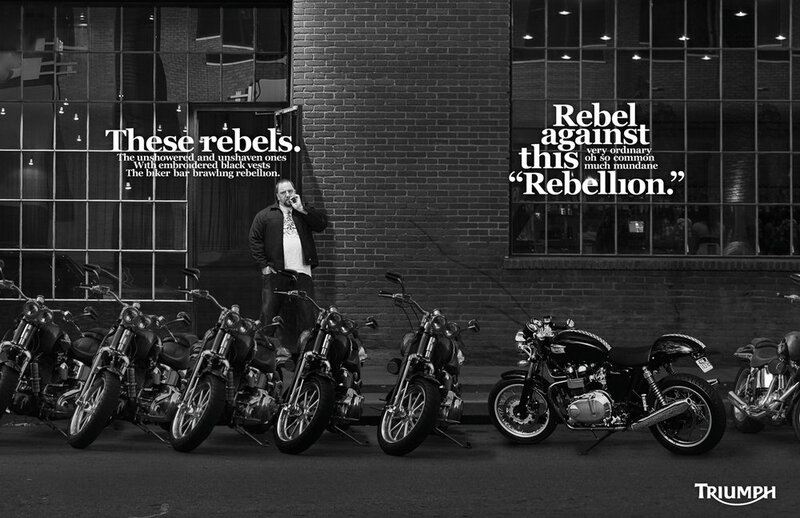 With more than a third of riders choosing Harley, the campaign begs the question, "when everyone is a rebel, how will you rebel?"